New England Burials at Sea offers a special service for pet burials at sea along the US coastline from Maine to Miami. The most common service is for scattering of cremation ash, although the company also offers organic cotton shrouds for full body burials by enquiry. 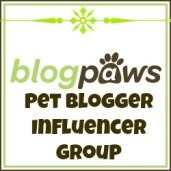 The company was founded by Brad White, a self-confessed dog lover and owner of Schipperkes who understands that pets are part of the family. Ceremonies start at $95.0o. A poem is usually read after the ashes are scattered, followed by flowers or wreaths that are placed on the water. Owners can email a photo of their pet to Captain Brad before their charter so a photo of their pet is included on the sea burial certificate. The burial certificate records the date, time, and latitude and longitude (location) where the ashes were scattered. Many charters are unattended by the pet’s family, but in one case Captain Brad says that over 40 people attended a pet farewell ceremony on his boat. Read more about the pet burial service here. Dogs are emotional creatures and they often form strong bonds to their owners, extended family, and other dogs in the household. This, of course, is one of the many benefits of having a dog (or more) as members of your pack. Because of these emotional connections, dogs also experience grief when a loved companion dies. Symptoms of grief can include lethargy, loss of appetite and weight loss. With the grief comes a depression of the immune system, possibly leaving your dog vulnerable to problems like kennel cough (even if they are vaccinated). Being aware of these symptoms is important and when a loss is experienced, extra care and attention are needed to help the dog manage their grief. Things like extra outings to new parks can help stimulate brain activity and keep the dog happy. Ensuring the dog has a solid routine they can rely on is also very comforting. I have even been called in to give grieving dogs a relaxation massage to provide them extra stimulation and help them feel better. One of the most ‘celebrated’ cases of a dog’s loyalty to its dead master is the story of Greyfriars Bobby. Bobby was a Skye Terrier owned by John Gray, who worked in Edinburgh, Scotland as a night watchman. In February 1858, John Gray died from tuberculosis and his body was buried in the Greyfriars Kirkyard. According to legend, for the next 14 years, Bobby spent most of his time at the grave mourning his master. 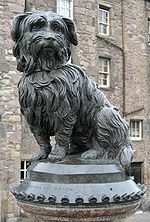 In 1872, following Bobby’s death, a statue of the dog by William Brodie was erected outside of the gates of the Kirkyard with funds from a local patron. For more recent stories about dogs who have grieved for their owners, read The phenomenon of grieving dogs. I have often felt that Daisy and I have a lot in common. She likes purple (in fact, her collar is purple) and so do I. She likes ice cream and so do I. She’s eats red meat – and guess what? – so do I. Today, however, we have now another thing in common. We have both lost our fathers. The phone call came through this evening. Shaka was ill this morning and with very low blood pressure. The vet thinks he may have had a tumour that finally overwhelmed his system and she said that he wouldn’t recover. There was really no choice but to put him to sleep. When I told Daisy about it, she went out in the yard and wouldn’t come in for a while. This was most unusual for her, particularly because it had started to rain and she doesn’t like getting wet. I think she understood but some people will say I am anthropomorphising her behaviour. All I know is that I was upset and, usually, if I am upset then Daisy wants to be at my side. This time, I think she needed some time to herself. I am grateful that Daisy only saw her Dad two days ago; he was a kennel dog and she was in kennels thanks to a business trip. As it turned out, it was their last chance to play together. I am also grateful that for the better part of the last three years, Daisy was able to visit Shaka every week for day care. Her day care arrangements ceased earlier this year when her day care provider moved farther out of town. 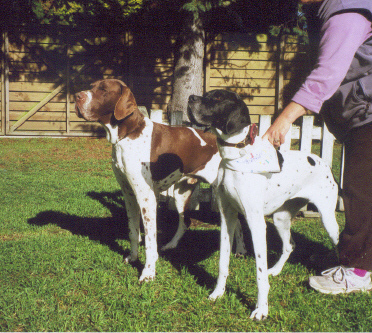 Still, she and Shaka saw each other whenever Daisy needed a kennel stay or when I massaged another dog at the kennels. Shaka was a ‘cool dude’ and I’m certain that Daisy inherited her placid nature from him. Here are photos taken in 2007, at Daisy’s seventh birthday party. We both think he was a very handsome and distinguished dog. Shaka won best dressed at Daisy’s birthday party in 2007 with this tuxedo.